Teen crashes increase 14 percent between Memorial Day and Labor Day compared with other times of the year. Parents hold the key to making sure their teen gets the supervised training needed to become safe and responsible drivers. Adding a teenager to your Auto Policy can mean a 50 percent or more increase in your auto insurance premium, but there are ways to reduce your insurance costs. The most dangerous time in most teenagers’ lives is when they start driving, and it’s during the summer months – the “100 Deadliest Days” – when the risk of a motor vehicle crash involving a teen is at its highest. As a parent, you are in the best position to coach your teen about safe driving practices, provide them the driving experience they need and make sure you have adequate auto insurance for the new drivers in your household. The “100 Deadliest Days” is the period between Memorial Day and Labor Day when teen-driver involved crashes kill an average of 10 people per day – A 14 percent increase compared to the rest of the year, according to data analyzed by the AAA Foundation (AAA). Teens who are just learning to drive lack the skills, experience and often the maturity needed to recognize and respond to risk. The most significant factors in crashes involving teen drivers include speeding, alcohol and/or drug impairment, distraction and nighttime driving. For example, the chances of a young driver age 16 or 17 being killed in a crash increases by 44 percent when they have a passenger under the age of 21, according to the Washington Traffic Safety Commission (WTSC) and its Target Zero program. As a parent, you hold the key to helping your teen get the driving experience he or she needs. For more information about driver education and licensing requirements in your state, visit AAA’s webpage called Keys2Drive. AAA reports that according to research, teens with more involved parents, both behind the wheel and in general, get fewer tickets and engage in less risky driving behaviors. Parents may also wonder how auto insurance premiums will be affected when your teen starts driving. Auto insurance rates for teenage drivers will be higher than other drivers because as a group, teenagers pose a higher risk of being involved in crashes. Adding a teenager to your Auto Policy can mean a 50 percent or more increase in your auto insurance premium. However, there are ways to manage those costs. Enroll your teen in a Drivers Education Course and a Graduated Drivers License Program. 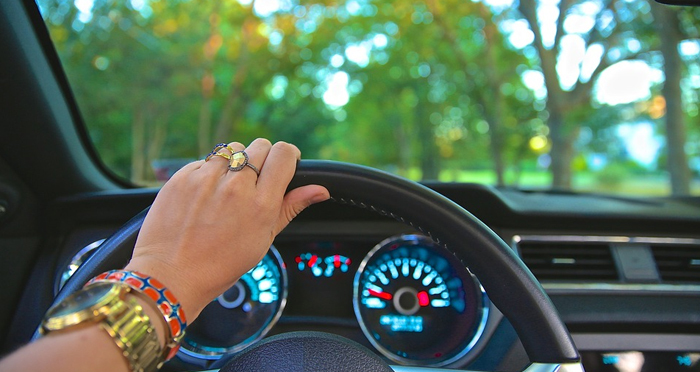 Every state has a graduated drivers license law that includes a three-phase program to help teens gain experience behind the wheel and develop a more mature driving attitude. Pick a safe car for your teen to drive that offers protection in the event of a crash. Avoid small cars, sports cars and SUV’s, which are prone to rollovers. Discuss the dangers of drug and alcohol use. Remind your teens never to phone or text while driving and tell them to keep distractions, such as listening to the radio and chatting with friends in passenger seats, to a minimum. Also, require your teenager to wear a seat belt at all times. Always be a good role model for your teenager. New drivers learn by example. If you exceed the speed limit or drive recklessly, your teenage driver is likely to imitate you. Shop around for the best insurance rates. Rates for younger drivers can differ dramatically, so ask agents, brokers or insurance companies for price comparisons. Adding your teenager to your own auto insurance policy is generally less expensive than a stand-alone policy for your teen. Also, you may qualify for a multi-vehicle discount if you previously had only one car in your household. Find out if your insurance company offers a “safe driver” program. If your teenager completes the program you may be eligible for a discount. Also, some insurance companies will subsidize the cost of electronic devices, such as video camera and GPS systems, to monitor the way teens drive and will alert parents of unsafe driving by email, text message or phone. Some insurance companies offer a Good Student Discount, which is generally available to students who have a 3.0 grade point average or higher. Consider increasing your liability insurance limits or purchasing an umbrella liability policy. If your teen is found negligent in an accident and the damages exceed your insurance limits, you will be held financially responsible for those amounts not covered by your insurance. An umbrella policy kicks in when you reach the limit on your underlying liability coverage in a Homeowners, Renters or Auto policy. Raising your deductible can save you 10 percent to 20 percent on your premium. That savings could go towards purchasing more liability coverage. For more information and tools on how you can keep your teenager safe behind the wheel, visit the website Drive It Home: Helping You Keep Your Teen Driver Safe.